The lunar cycle is one of our most natural rhythms. We are attuned to it either consciously or subconsciously. Its movement in time is cyclical, and it resembles the mediaeval hermetic symbol of the Ouroboros, the snake biting its own tail. 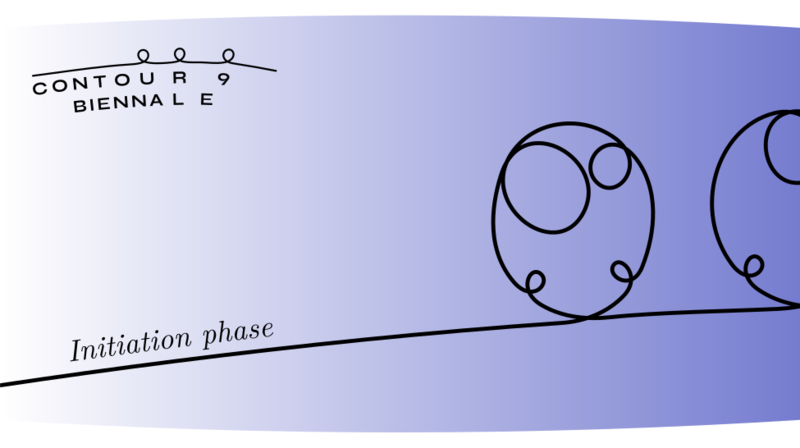 In our conception of linear time, the three phases of the Biennale that will be aligned to the lunar cycle – the three public presentations that will be held in 2019 – can be seen as forming a dramaturgical triangle with its peak at the full moon, growth as its prologue and degrowth as its epilogue. During the Initiation Phase, curator Nataša Petrešin-Bachelez will introduce her approach. Next, the graphic studio OSP from Brussels will present its methods and procedures for working on the Biennale’s platform. After this presentation a heart-to-heart conversation will be held between participating artists Ana Vaz, Clémence Seurat, Maarten Vanden Eynde, and Sammy Baloji. This is the first in a series of such conversations that will be held throughout the year. The Biennale aims to initiate a continuous space within the institutions that will host the Biennale and also within the hosting city, enabling generosity and emotions related to the creation of a social safe space. Heart-to-heart conversations about fears, reflections and attitudes can induce great openness and willingness to debate crucial social and political questions of the past, present and future in Belgium and elsewhere. Finally, Laura Nsengiyumva will present the first of the four Book Clubs, where several prominent voices that participate in debates on decolonisation in Belgium will discuss the book ‘Wanneer we spreken over kolonisatie' / 'Quand on parle de la colonisation'.